In response to the NPSA alert relating to bowel cleaning solutions all requests for CT Colonography must be accompanied with checklist and prescription for oral bowel cleansing agent completed by the referring clinician and sent to CT Appointments at Derriford Hospital. Referral and justification criteria are taken from the Royal College of Radiologists (RCR) guidelines 'i-refer' (formally known as the 'Making Best Use of the Radiology department - MBUR) which health care professionals can access via the Map of Medicine. The request form is now combined with the checklist and prescription for bowel cleansing agents (Link below). To avoid unnecessary delays for the patient please ensure that the request form clearly show the patient's name, date of birth, address and contact number. Clinical details must be legible and the examination requested must be clearly printed. Please circle the Y/Ns as appropriate to indicate the patient has been properly assessed for their suitability for receiving bowel cleansing agents. Incomplete checklists/prescriptions will not be accepted and will be returned to the sender. If you have any queries please telephone 01752 437715. Click here for information about our Radiologists, their specialities and their contact numbers. This will allow pathology and Radiology requests to be made by a GP electronically. 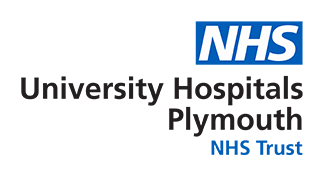 This system has been successfully trialed in 2 GP practices and is currently being rolled out across Plymouth. Click here for more information about this project or email Cath Murphy the ICT projects lead catherinemurphy3@nhs.net. For surgeries already using iCE learning materials can be found here. What is Any Qualified Provider (AQP)? The AQP scheme is a new (in 2012) government initiative to offer patients a choice of providers for certain key services that can be delivered in the community. Providers who qualify will all have met certain minimum standards regarding the quality of service they provide. Ultrasound (but not pregnancy scanning) is one of the first clinical services to be chosen in this region, and patients needing a straightforward non-obstetric ultrasound scan will be given a choice by their GP of where, and by which provider, they will have their scan. For more information about AQP please click here. Please email plh-tr.ImagingFeedback@nhs.net to let us know. Please answer the question below, this helps us to reduce the number of spam emails that we receive so that we can spend more time responding to genuine enquiries and feedback. Thank you. * Spam Guard: Is a stone hard or soft?